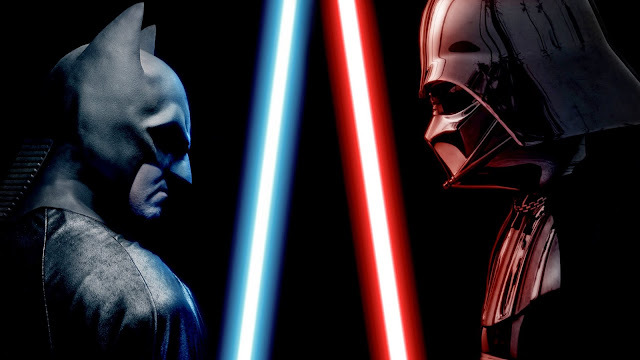 Have you ever imagined what could happen if Batman and Darth Vader were to cross paths? But in their world and in ours, the meeting of these two was impossible. The Dark Knight and the Dark Sith Lord belong to two different universes. Batman is a DC Comics character and Darth Vader is a creation of Lucas Films – now property of Disney. Bruce Wayne lives in Gotham City, here on Earth, while Anakin Skywalker strives in a galaxy far far away. It was impossible until actor and filmmaker Aaron Schoenke decided otherwise. Strangely oblivious of copyrights and intellectual property laws, he produced and directed 'Batman vs. Darth Vader', a brilliant short film with impressive production values. This short film is part of an amazing series called ‘Super Power Beat Down’. It brings to life situations that, until now, only existed in kids’ imagination, and is a jewel of geek culture with perhaps the finest fan-made videos on Youtube. ‘Batman vs. Darth Vader’ plot is as exiting as the premise itself: Batman travels to the Death Star to free Superman, held prisoner by Darth Vader.